Back in Spring 2012, I made one of the best decisions in my life. I left my stable but unsatisfying job in Canada for an exciting and adventurous internship in Shanghai, China. For once, I felt like I was able to work at a job wherever my heart desired. It was definitely a leap of faith, as I had never lived on my own before that! As an undergrad, I completed a Bachelor of Business Administation at the University of Toronto at Scarborough. At the time, I wanted to learn Mandarin, as I knew that it would be an important language to have under my belt, especially since I knew I wanted to do business someday. I chose Shanghai specifically (over Beijing), not only because I’d already been to Beijing in the past, but because I was always captivated and fascinated with the roaring Shanghai era – the opulence and glamour-meet-rebel feel of it all. I had always been searching for a place to live where Europe meets Asia – the perfect mix in my opinion – and I found that in Shanghai. Affectionately coined ‘Paris of the East’ in its colourful past, Shanghai has definitely lived up to its name. To this day, the architecture of the city has been very well preserved, and sometimes I still daydream about staying there for an extended period of time… living in luxurious, modern hotels such as the Park Hyatt Shanghai, or Mansion Shanghai Hotel which offers its patrons the authentic experience of ‘Old Shanghai.’ It would be hard for me to leave the hotel room – so perhaps if I’m writing a book someday and need the concentration, you will know where to find me. If I can afford it, I’m all for it! My top choice was a magazine company as I was an avid blogger at the time and enjoyed expressing my thoughts through writing. I began searching for internships in China to justify the months away from home, so I could tell my parents, “I’m going to go to work and learn something” instead of “I’m going to be reckless, travel and spend money like there's no tomorrow.” I stumbled upon CRCC Asia, the leading provider of internships in China, on the internet. What set it aside from other internships was that it not only had a great website, with student testimonials, but it was also partnered with universities – I got a sense that it was a legitimate company, and signed up right away. They took care of me from the beginning - from job placement to visa processing, arranging accommodations, Mandarin lessons and internship activities – to helping me get through a conversation with a taxi driver who was trying to rip me off. I felt like I was supported every step of the way and that everything was greatly organized. I truly feel that what you get out of your internship experience is what you put in. I worked as an intern at a bilingual magazine for two months. I was the PR Executive/Events Representative and was responsible for 2 major events – the creative direction of their booth at the annual China (Shanghai) International Boat show and the co-organizing of their major annual VIP readership event that had a ‘Design & Redesign’ element to it. The bulk of my work revolved around the two events. On any typical day, I was brainstorming ideas, putting together design elements such as invitations, marketing material and other display items, organizing the logistics of the event, purchasing items and dealing with vendors. I had the opportunity to sit in on client meetings for potential partnerships, contribute to the magazine by sourcing images and writing a description for each product and learn about the magazine industry as a whole. It was fascinating to me seeing firsthand how hard people worked toward the same goal – to produce a top-notch magazine, filled with culture, class and relatedness - a magazine not specifically targeted to luxury readers, but for any individual who appreciates quality content drawing inspiration. It’s hard to believe that I was only there for two months but got so much done! I’m not sure what it is – but the rapid pace and the speed of how much work gets done in a short timeframe in China is amazing. People seem to be able to take ownership of their work and not have a supervisor breathe down their neck every half hour wondering what they’ve been working on – at least that’s the sense I got from working at the magazine. It felt like a start-up environment, there was about 10-12 of us in total, and we all had our Apple iMacs, and just worked, collaborated and got things done. I did notice some differences, especially communication-wise. In western countries, communications are a lot more direct and casual, whereas in China, it was more indirect, polite and they wouldn’t give it to you straight – that kind of bothered me as I wasn’t used to it, but I was all for learning about cultural differences. It gave me the opportunity to adapt to a new culture, figure out how best to approach a person or situation and build great working relationships. How did you balance work and play? I was pretty good at balancing work and play. I worked Monday to Friday, always grabbed breakfast on the go, mostly KFC’s breakfast congees conveniently located in the MRT or the inexpensive steamed buns near my workplace, worked a full shift and had the rest of the evenings to go to Mandarin classes, get groceries, watch Chinese dramas to attempt to learn Mandarin, try out great restaurants, shop, attend internship outings such as KTV night and events happening around the city. I spent the weekends exploring the city, whether it was going to the Pearl Tower, catching an acrobatics show or visiting a nearby water town. There was always something fun to do. Throughout the time away from home, I was truly living my own version of the rockstar life and splurged and pampered myself like never before! I met and still keep in touch with some great, interesting people – from the internship program, fashion shows I attended and a couple of my colleagues – all of whom I wouldn’t have met if I hadn’t done the internship program with CRCC Asia. 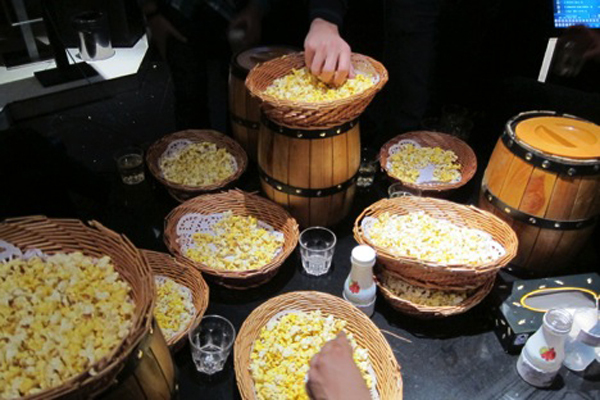 Other than connecting with people, food played a major role of making my experience in Shanghai a memorable one! What were some of the most interesting dishes you tried in China? A friend had introduced me to a restaurant named “Lost Heaven” which serves Yunnan cuisine – their dishes are influenced by the minority groups from Burma, Thailand and Tibet, and are aromatic, flavourful and spicy. The interior of the restaurant makes you feel like you are transported to an exotic, foreign locale, with folklore inspired designs throughout with food presented in an artful manner. 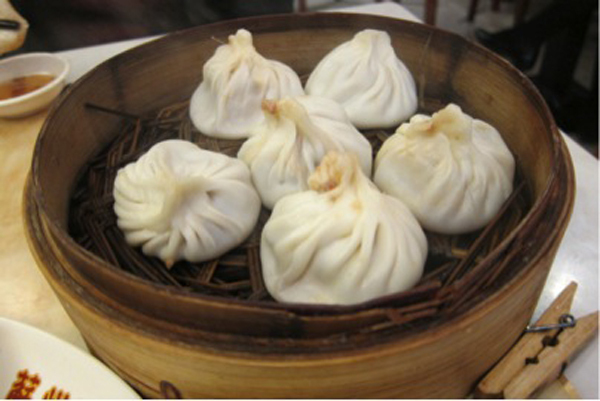 Although not necessarily the most interesting of food to me, Ding Tai Fung is worth mentioning as it serves an excellent Shanghainese dish, called xiaolongbao, which are mini steamed dumplings filled with pork and soup. The chain of Ding Tai Fung is quite well known and has been favoured by celebrities as seen on the posters aligned on the walls of their restaurants. My third recommendation would be to pop into Shanghai’s many French-inspired Chinese bakeries, such as Bon Matin Paris, Paris Baguette, etc. So fun, classy and such a treat after a long day’s work! What were some of your favourite social events? 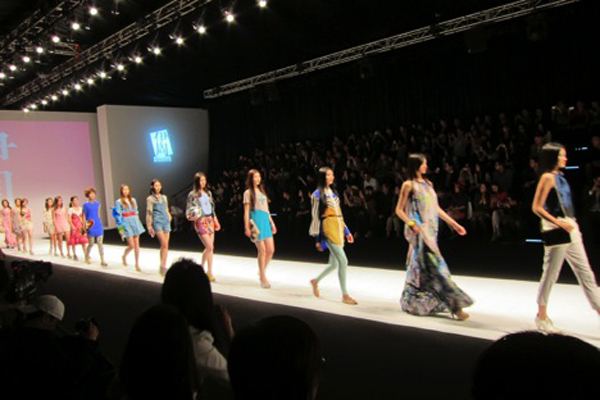 I enjoyed catching a few fashion shows during Shanghai Fashion Week (I had never been to a fashion show before this). KTV was fun – especially my going away party with my colleagues at work – I had a nice buzz and a colleague even dedicated a song to me! I also enjoyed trying out different cuisine, going to ladies’ night to have a drink, and exploring the city in general. There was never be a dull moment! There were a lot of good moments, but I think my favourite has to be the moment when my friend covered my eyes, took me up the elevators to the Park Hyatt Hotel and revealed the night view of the futuristic Shanghai skyline. It was simply breathtaking. I have such a soft spot for Shanghai’s colourful history, fashion and culture. 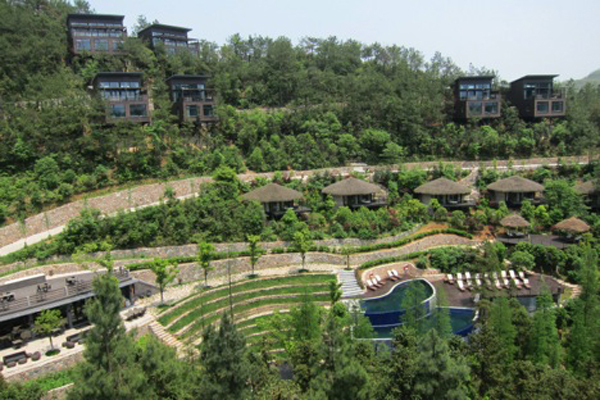 Another great memory was when my colleagues and I had our teambuilding weekend at the villas of Naked Retreats among the mountains of Moganshan. I felt like I was living in luxury – the villa had sky-high ceilings, a hot tub, and we even had a personal driver to get us around. I got to know my teammates better during the trip. The second morning I was there, I got up early to catch a sunrise with a colleague. Although we didn’t catch it as it was gloomy that day, I still enjoyed our hike. 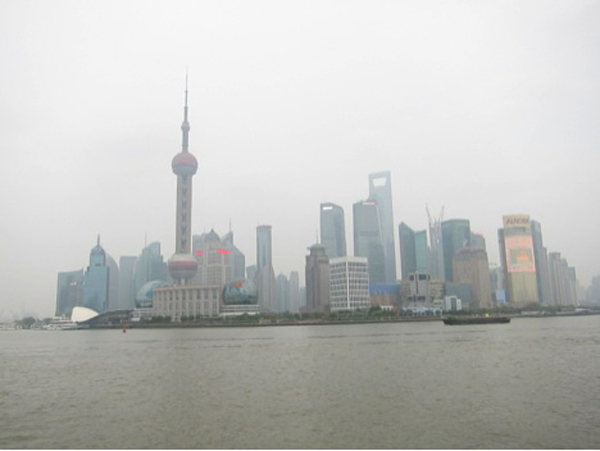 I felt connected to people, to nature and to a sense of calmness that I rarely felt while in Shanghai. These are the beautiful moments that made my trip truly memorable. I would go back to Shanghai in a heartbeat. A couple of things – I wish I had put more effort into learning and speaking Mandarin! Also, I wish that I had gone beyond my comfort zone more – go out to networking events (I didn’t go to a single one!) and meet more people and be more open to new experiences. I find that in life, you regret the things that you didn’t do more than the ones you actually did do. I held myself back on some things. You only live once – so as long as it’s safe and you’re not hurting anybody, go for it! My future plans for travelling include Paris. I would love to stay there for at least a couple of months and perhaps study fashion design or decor-related course. If I don't end up studying, then I'll be blogging my adventures as I go along. I hope to be able to collaborate with big fashion and design brands, etc. Social media is not going out of style anytime soon. My blog partner and I are ready for big things to happen! Hong Kong is also a must for me as I have a friend's wedding there in 2016, and Japan is on my list before I turn 30. I would also be interested in visiting South America. I currently work in apparel manufacturing providing administrative and executive support and I am also a wedding and events planner who has plans to expand outside of Toronto within the next five years. I love how every single day is an opportunity to go after your dreams - decide, commit, succeed - and don't settle for anything less! Cindy’s story offers an excellent example of how interning abroad can contribute to your personal growth and develop your career aspirations. 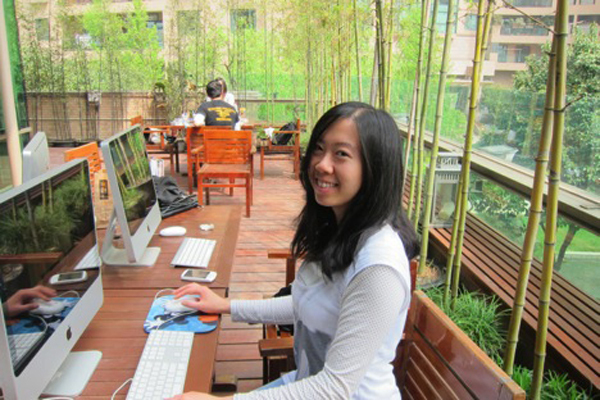 Cindy has an interest in building a business career, and pursuing that goal on the international playing field. We’d recommend that Cindy build her international experience by pursuing a master’s degree (perhaps an international MBA) at a foreign institution. In Cindy’s story, she highlights a desire to go further beyond her comfort zone next time she’s in a foreign country. We support this approach wholeheartedly! If France is her next destination, we’d recommend that she start working on her French fluency as early as possible so that she can fully engage with the local culture. This way, perhaps she could also extend her passion for blogging into her host country context, developing a local audience as well as maintaining her home country audience. Because Cindy’s interest is business, and particularly fashion, it makes sense to further build her career by heading to one of the major fashion centers in Europe; but we would also recommend developing international skills of another sort by taking a short volunteer or backpacking trip to a completely non-European, non-Westernized area of the world. By heading off the beaten path, young professionals develop personally- and professionally-valuable skills that they never would have expected. Don't underestimate the career value of doing something completely different and totally challenging! We wish Cindy all the best as she pursues her career goals! The All-Important International Elevator Pitch is a key article for young people who are interested in business. The elevator pitch is crucial for all industries, but particularly for business and fast-moving industries like fashion. The Ideal International Profile lists the qualities necessary to succeed in the international workforce. Use it as a checklist as you plan your next steps abroad. Career-boosting Strategies While Studying Abroad offers ideas on how to maximize the career value of your study abroad experience. These tips can be applied when pursuing master’s degrees overseas.